DID THE RIGHTFUL DUKE OF ROXBURGHE LIVE IN BRENTFORD? This is a condensed version of the text Margaret and I have put together relating to the question posed above. Hopefully, by making our side of the story more widely available, we can find others who can tell more or show evidence of inaccuracies. We feel sure that other descendants of our Ker family will have had similar stories passed down through their branches of the family. * Please note that, in this case, William, was not the son of James Roxburghe, 1887-1947, above, but the son of his younger brother William Edwin Ker. He takes his place here as the eldest son in the next generation. My mother's brother, William 'Bill' Ker (1919-2013), grew-up in Brentford where his family, and most of their families, lived. On his father's side, Bill's great-grandfather, James Roxburghe Ker, lived in London Road, Isleworth and was a journeyman baker at Newens' Bakery in the High Street. His grandfather James John Ker worked for the local Beehive Brewery, latterly as a drayman, and lived in Brook Road then, in the late 1890s, in Lateward Road. Bill's father, William Edwin Ker, was a blacksmith's striker for a local barge builder before working at Brentford Dock. Bill junior lived with his parents in Mafeking Avenue until they moved to New Brentford in 1936. Stories passed down through the generations suggesting that his ancestors were somehow connected to the Dukes of Roxburghe (pronounced Roxborough and sometimes written without the 'e') lineage, he knew well. When he was older, Bill learnt from his eldest uncle, Jim (1887-1947), that our branch of the family, who I shall refer to as the 'Brentford Kers,' might even be the rightful heirs to the title. This is all academic of course, because the title could not, in reality, be reclaimed. And to be fair, Bill, who was no fool, almost certainly accepted this from the start. Uncle Ted, the second eldest of Bill's uncles, on his father's side, also 'fed' his nephew's curiosity by repeating the stories (Edward Ker died much later than Jim, in 1977, so he was the main source once Bill started questioning the details). The stories passed down by his father and grandfather made Jim bitter about the way the family had been treated when the title had been contested sometime in the past. This, Bill realised, when his uncle told him to 'try to claim the title back and don't let them stop you.' Along with the stories, Uncle Ted left the Ker family bible and three historical documents to his nephew. Another indication, that someone in the family took the whole thing seriously, was found on a scribbled note found among Bill's effects. There were references to The Heraldic Authorities of England and Scotland and to The College of Arms: the official organisations that advise on all matters relating to peerages and baronetages, and with whom, all must be registered. The note concludes with "next in line, Bill and (his son) Ian." The writer, probably Ted or Jim but not confirmed, obviously thought a successful challenge could be made in comparatively recent times when there was no heir apparent. The wider family has often joked about 'the legend' as Bill referred to the whole matter. Some, including myself, thought there must be an element of wishful thinking in Bill's preoccupation with trying to prove the story true. He always thought that one unknown male bridged the gap between the Brentford Kers and the Roxburghe Kers. That person must, he initially thought, be 'our' James's (1802-1864) father. After Sir Robert, the 1st Earl of Roxburghe, the ducal family lines splayed out due to the title being left dormant twice. Therefore which of the earls or dukes the unknown male descended from, Bill could only make informed guesses at. The idea of an unnamed relative is certainly a convenient way of perpetuating a myth but when you draw a blank in a family line, there is no other way of quantifying it. 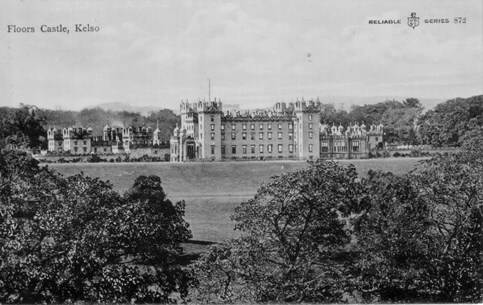 Apart from our family name of 'Ker' which is the same as that of the noble line stretching back to The Kers' of Cessford in the 15th century, our family and known ancestors appeared to be as far removed from the aristocracy as it was possible to be. Incidentally, the alternative spelling of 'Kerr,' has been used at different times, in both families. A rather vague but consistent story, passed down the male line of the Brentford Kers, kept the possibility of a link alive: and only then because of the interest shown by Bill and later, Margaret. The story is centred around a visitor who brought James Ker (1802-1864) a collection of documents and told him of his titled ancestors (Margaret is sure James and the other Brentford Kers knew nothing until then). Whether the visit actually happened is not in doubt but who the visitor was, and his reasons, remain open to speculation as no written accounts have survived. In the fly leaves of the Brentford Ker family bible there are detailed handwritten notes of all births connected with the first-male line back to James Ker 1802-1864. Information about ancestors before that, Bill could not find anywhere using the records available in the 1960s and '70s. Using what information he had and details of the Earls and Dukes of Roxburghe, readily available in books, he had the two family lines: one going back to 1802 and the other coming forward to the deaths of the 3rd duke in 1804 and the 4th duke in 1805 (This was a time of fierce rivalry between various members of the Roxburghe-Kers over the title of the 5th Duke and Jim, and his father, James John Ker, before him, thought that this must have been when their ancestor had been cheated). Bill initially claimed that the missing link was the illegitimate son of the 3rd or 4th duke but it is not now known what his evidence for this was. By the time he retired in the late-1970s, Bill had researched and set out extensive family trees using home computer templates. These he printed off and gave to the family to try to involve them in the research. They show that the illegitimate son of the 4th Duke, theory, had been changed to an "unnamed ancestor." He was still sure that just one ancestor needed to be identified to link the two family trees in the early 1800s. As already mentioned Uncle Jim was the eldest then Ted, but neither of them had sons and Bill was the only male born to the third son of James John (1859-1910). Jim's great-grandfather: James Ker (1802-1864) moved his family from Chelsea to Merton, south of the river, around 1830, but it wasn't long before they moved permanently to Brentford. The 1841 census lists him as being a butcher, living at Ferry Lane, High Street. The story goes that an unnamed male relative turned up unannounced shortly after the family arrived there. This then must have been in the mid-1830s and is useful to know as the likely candidates can be narrowed down if their ages at that time can be worked out. The caller provided his credentials in the form of a collection of documents relating to Ker ancestors, which he left with them. In 1836 James had his first son baptised, James Roxburgh Ker, at St Georges Church, Old Brentford: a choice of name inspired by the story relayed by the visitor, no doubt. Certainly two of the three documents that Margaret still has, were family trees/pedigrees of the leading claimants for the title of 5th Duke. The original shows Major General Walter Ker of Littledean's line back ten generations to sometime just before 1500. Because the heading is missing the first named is unknown but is almost certainly Walter Ker of Cessford (born 1481). The Major-General was, to start with, the leading contender for the title. The other pedigree, a copy, shows the relationship between the generations of the Innes family and goes back to Sir Robert Ker of Cessford, the 1st earl. This one has lost its lower half and this may have been deliberately sabotaged. If this was the case, it did not work as James Innes was the eventual successor. Both documents show the respective ancestors going back sufficiently far to make them very valuable to the bearers at that time. The third document to be retained is a soldier's commission dated 1715 or 16 and signed by King George 1. They came to Bill, then Margaret, in an old cloth bag which also held press cuttings relating to more recent title holders. The wording on the bag is James Bradbury and Sons Ltd: a Brentford grocery business which Margaret cannot trace back before the 1920s. Bill began to suspect that if his ancestors had descended from the ducal families, there had been efforts to conceal it: either by the unnamed relative or by someone who could benefit by it. The fact that he could go back with certainty to 1802 and no further indicated that this happened at the time of the search for a successor to the last Lord Bellenden: the 4th Duke of Roxburghe, who died in 1805 leaving no male heirs. (The 4th Duke's male line descended from the 2nd Earl who, in turn, was a female-line grandson of the 1st Earl). His death meant that the Lordship of Bellenden now became extinct. Being of that lineage therefore, now, carried little or no 'weight' for a prospective claimant. 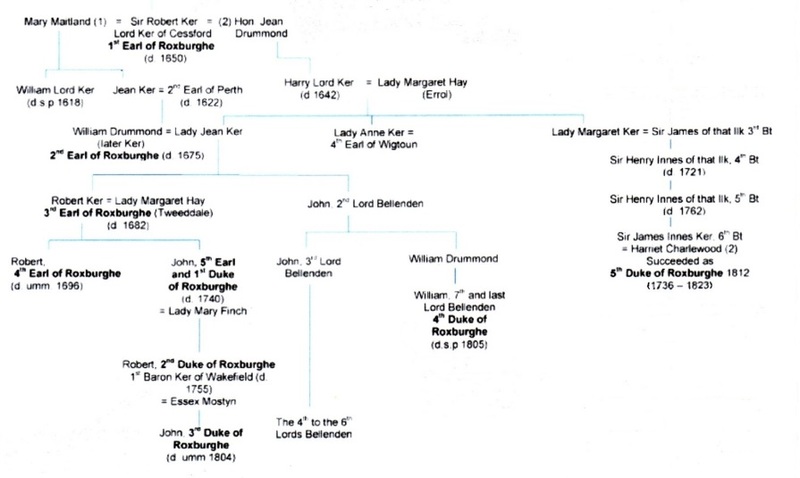 To back up a claim to become the 5th Duke a claimant would now have to prove that he or she were descended from the same line as the 1st Earl of Roxburghe. 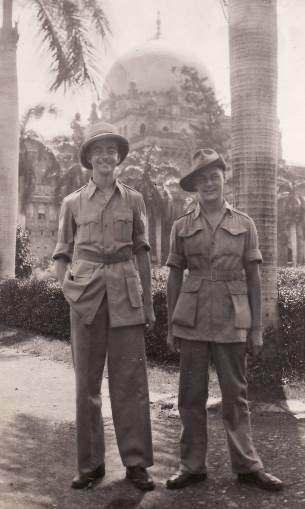 5) Sir James Innes, great-grandson of Lady Margaret Ker, grand-daughter of the 1st Earl. Initially, there were others of the wider family who thought their position justified making a claim but who had to drop out as the proceedings became more involved. The 1st Earl and the 4th Duke both died without direct male-heirs and therefore the immediate families of the successors did not follow the direct line of descent. So with the ducal family tree having branched off in so many directions by the early 1800s, there were several contenders for Bill's unnamed relative. It is not surprising, therefore, that his theory as to which line the elusive male descended from, changed over the years. From the way the 1st Earl's successor had been settled, Bill suspected for a long time that the next in line for the 5th Duke was a son of one of Sir Robert (1st Earl) and his second wife: Hon. Jean Drummond's grand-daughters. He also recorded in his research that 'this must have been our unknown ancestor but that he did not make a claim or, more likely, he was prevented from doing so.' As we shall see, the title was fiercely contested. If our ancestor had a strong claim then there was good reason to frustrate that bid by the other claimants or their backers. It might also explain why a marriage certificate and other documentation aligning 'our' James Ker (born 1802), with his ancestors, have not been traced. Even with money and influence a claimant had to prove their pedigree by producing documents and perhaps relying on the testimony of respected and influential people willing to speak on their behalf. Family documents were sometimes sold during hard times or damaged, lost, stolen or even gambled on card games. Although legitimate claims could have been made by individuals from several branches of the wider family, the legal battle became protracted and no doubt costly and only three persisted with it. Had the succession to the dormant title been a straightforward case of the most eligible male relative taking over, Maj. Gen. Walter Ker would have become the 5th Duke of those that contested it. It is quite possible that, if the documents that came to Brentford were as significant as the story suggests, whoever withheld them caused many of the difficulties of determining the successor. After all the legal challenges and appeals, it was given to the House of Lords to debate and vote in favour of Sir James Innes 1736-1823. He was the husband of Lady Margaret Innes nee Ker who was the third daughter of Harry Lord Ker: son of the 1st Earl of Roxburghe by his third wife. Sir James took the name Innes-Ker and that family still hold the title. For years, neither Bill nor Margaret could show conclusively who 'our' James's (1802-1864) parents' were. As more records have appeared on-line, Margaret, who has taken over all research, has made further progress. A James Ker, together with his wife Belmira, have been discovered and their known details do fit: they were of the right ages and had an eldest son called James, born in 1802, in the same part of London: Chelsea. 'Our' James later named one of his children Belmira: 'an extremely unusual name in this country at that time' said Margaret. This, and other evidence recently found on relatives' marriage certificates, finally puts the mystery of James's parents beyond question. It also dispels the theory that the missing link was the 4th Duke's illegitimate son. So Margaret can now extend the ancestral line back several more generations. She has researched each of the new-found males of the right ages, for clues as to whether they might be the missing ancestor. James's (born 1802) Great Uncle John was a bookseller and stationer and published some works of his own. This member of the family used the title 'John Ker of Linton' and this is useful as it connects him to his ancestors mentioned in noble peerages recorded at the time. The book: The baronetages of England published in 1741, lists what is presumably John's grandfather as 'Andrew Ker of Lintoun (spelling varies) in Scotland, of his grace the Duke of Roxburghe's family.' Another account tells us that 'a branch of the Kers of Cessford became Ker of Lyntoune.' Linton was a village in the Scottish Borders close to the seat and estates of the Cessford Kers and later, the Roxburghe Kers. 'When the dispute over the (5th) title hit the news and it really was big news by the standards of the day, I think John and his wife Anne saw an opportunity to improve their precarious situation. But it wasn't actually to try to claim the title. What John did was to write to the favoured claimant claiming kinship (it's entirely possible he wrote to the other claimants too). This didn't mean a close relationship, just being accepted as a member of the Ker family from way back. John said his grandfather: Andrew Ker, born c1700, had been a soldier (lieutenant in the Coldstream Regiment of Guards) and had left his family in very poor circumstances. He said Andrew had lost all his estates playing cards. But would he have published the letters and left himself open to accusations of trying to obtain money by deception? I think it is unlikely especially when added to other evidence of John's credentials in the published work: The Breach of Promise, although, admittedly, John wrote that himself. He says, in the introduction, that he had in his prossession, his Grandfather Andrew Ker's (born c1690) soldier's commission. (This was almost certainly true because one of the documents that Bill, and now Margaret's family have, is a commission. Although the handwritten parts are now too faint to read, it is almost certainly the one John spoke of). He refers the doubters to The Lord Chancellor (John Scott, 1st Earl of Eldon) and Counsellor Alexander � Master in Chancery, who had satisfied themselves that John was a member of the Roxburghe-Ker family. James Innes's solicitor in Scotland, Mr. Horne, was also asked to investigate his noble connections. James Innes mentioned, in a subsequent letter to John, that he accepted that he (John) was more closely related to the 3rd and 4th Dukes than to himself, presumably based on information supplied by Mr. Horne. It has always been said that the date of the visit was in the 1830s, so it is more likely to have been John's son James (A John Ker died in Bridewell Hospital, London in 1830, while serving a prison sentence, and we assume it is him). Not only did the caller leave the documents and urge 'our' James 'not to forget their story' but he came to apologise too, so the story went. The reason for the apology was not known by the time it reached Bill but he concluded that 'it seemed reasonable to assume that he was apologising for his father or uncle, not making a claim on the title.' Being as the successful claimant of the title of 5th Duke had a fairly distant link to the 1st Earl, Bill was sure his ancestor must have had a closer link. If John, who outlived his older brother, and his brother's son, was not heir to the Roxburghe titles, why did he have documents relating to the noble families? And quite a large number of them, if the stories are anything to go by. The reason they were deposited with the Brentford Kers was, no doubt, because all John's son's family had gone to live in Australia. 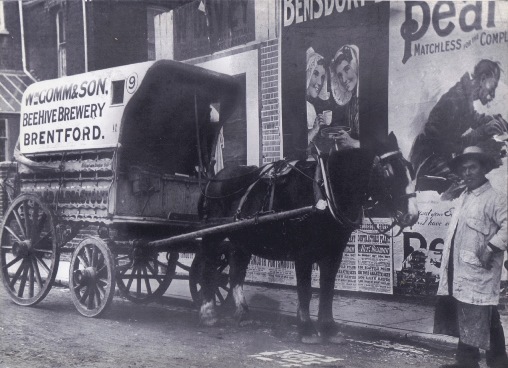 See Margaret's memories and research into the Ker family of Brentford, covering the nineteenth and twentieth centuries, in 2014.